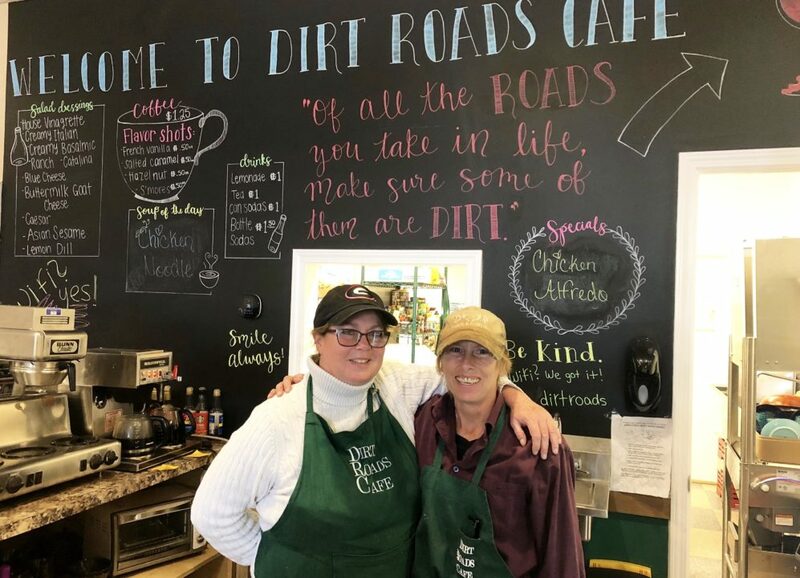 Inspired by their small-town upbringing, sisters Cheryl and Carla established Dirt Roads Cafe to represent their way of life with a call back to simpler things. 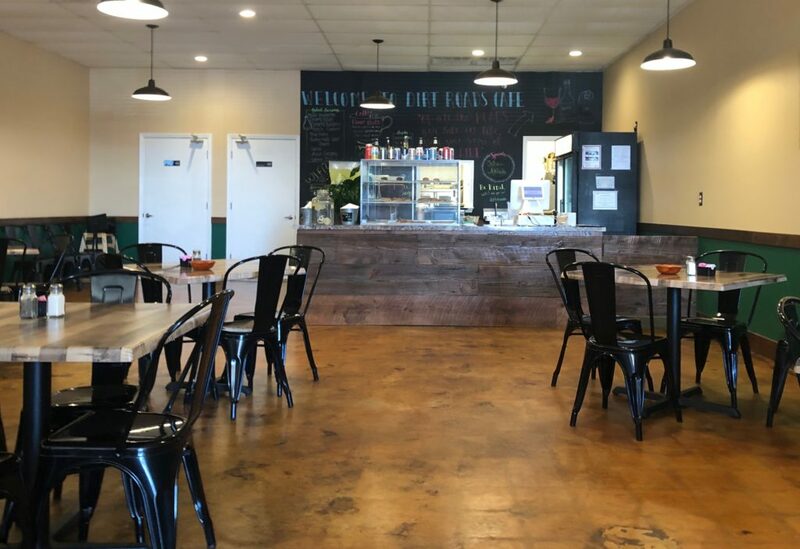 Opening their cafe in LaGrange, the sisters now serve a variety of healthy salads and sandwiches, hearty soups and decadent desserts, along with soft drinks, coffee, tea, and adult beverages. 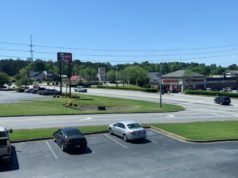 Every salad and sandwich on the menu reflects the name of a local road–for example, the Fike Road Panini, which is a croissant filled with oven roasted turkey, mozzarella, pesto, and sun-dried tomatoes. Don’t forget to try Carol’s Cheesestraws, made from their mother’s recipe. In the cafe customers will find pictures uniquely featuring the road where the sisters grew up. The pictures were taken by Carla, who still lives there today. 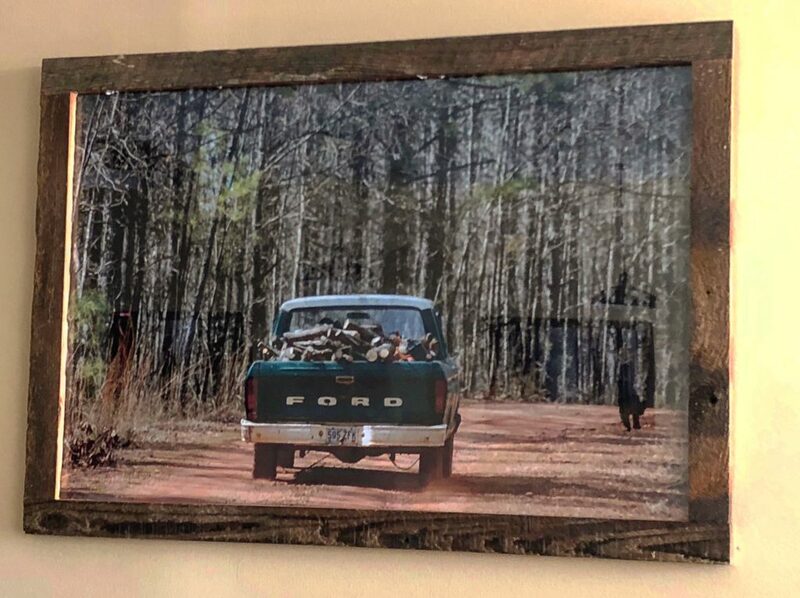 The frames around the pictures and the wood on the counter are made of 200-year-old wood from their great-grandfather’s barn. Cheryl and Carla cordially invite customers for Wine’d Down Wednesdays from 5:30 until 8:00 in the evening each week. During Wine’d Down, customers can enjoy a $3 glass of wine and 10% off beer. 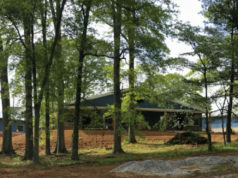 Dirt Roads Cafe is located at 157 Commerce Drive, Suite A, in LaGrange. 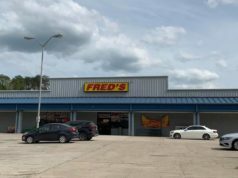 It is open Monday through Friday from 11:00 a.m. to 8:00 p.m, Saturday 10:30 a.m. to 8:00 p.m., and Sunday 10:00 am until 4:00 p.m.